The College boasts a number of traditions, from Homecoming weekend to Winter Carnival, yet it seems that the surest tradition of every college is an annual increase in tuition – and dear old Dartmouth is no exception. And thus with the arrival of spring comes the news of next year’s 3.8 percent increase in tuition, mandatory fees, and room and board —almost a whole percentage point higher than last year’s 2.9 percent. In reality, this means that students will be paying, roughly, an additional three thousand dollars, and that’s without even including the indirect costs of attending, such as books and travel. On a more positive note, the College also announced an increase in its financial aid budget by 4.7 percent. Still, given that the inflation rate in the 2014 fiscal year is 1.61 percent and that the projected inflation rate for 2015 is 0.1 percent, it seems that college President Phil Hanlon has failed to uphold his pledge to keep tuition increases in line with inflation. When trying to understand the seemingly unreasonable increase in tuition, looking at the tuition changes of other Ivy League institutions gives some perspective: the tuition increases range from 3.75 percent at Cornell University to 4.1 percent at Brown University. While institutions such as Harvard University or Princeton University have yet to announce their new tuition rates, it is clear that tuition across the Ivy League increases at comparable rates. Moreover, the average tuition at non-profit private colleges increased by 11 percent from 2010 to 2015. This data signifies the cruel reality of higher education. Colleges will always be peer pressured to raise their cost of attendance. In this context, peer pressure among institutions of higher education means competition. Colleges constantly compete for prospective students, and this competition requires them to invest in new facilities, more faculty members, expanded research opportunities, greater advertising and anything else that will gain the attention of potential applicants. Simply put, schools today are not just educational institutions – they are brands and building a brand costs money. What all this means is that the Dartmouth “tuition problem” is not just about the failure of one individual to keep his promise to the student body. Like other public figures in the past, present and certainly well into the future, Hanlon probably quickly realized that his pledge was perhaps a little too good to be true. 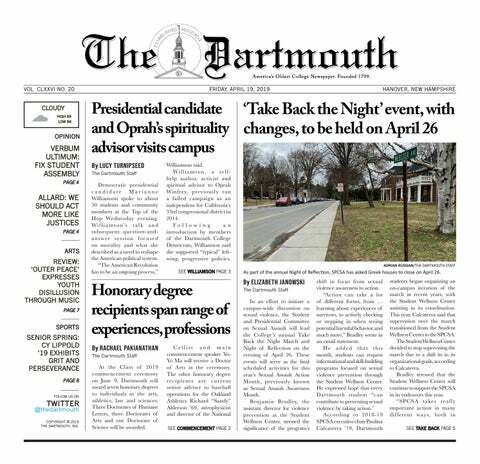 While it is certainly legitimate and valid to question how the College spends the enormous sums of money it demands from its students — whether all the committees and working groups are worth what they cost, and whether expensive policies such as the “Moving Dartmouth Forward” policy initiative and the new residential housing system will truly improve the Dartmouth experience or help the Dartmouth brand — it is difficult to imagine that things will change anytime soon. Nevertheless, this system based on seemingly never-ending increases to an already ludicrously expensive tuition is unsustainable. In the long-term, it will either self-regulate or will be regulated. Perhaps self-regulation will occur if tuition becomes a larger measure of a college’s brand. Imagine, for instance, if U.S. News & World Report were to suddenly include a college’s tuition rate in its considerations for college rankings, ranking down every school that increases its tuition by more than that year’s inflation rate. U.S. News & World Report has for years held great influence over a college’s perceived image and desirability through its annual ranking list — a mere click away for any internet user — and the result would certainly be damaging to the College. A similar result may occur if college applications decreased every time there was a spike in tuition. This emergence of price competition would certainly regulate the rising prices. There is little indication that students care about three-figure differences in the cost of attendance at top-tier schools. After all, families that have to count every dollar are still guaranteed financial aid for their full demonstrated need. And the Dartmouth brand, moreover, with its promises of academic opportunity, professional advancement and high return on investment will likewise keep attracting students. But some day, financial aid may not suffice to cover the cost of ludicrous tuition rates, and cheaper but comparable alternatives to the Dartmouth brand may emerge and even wealthier families may refuse to pay the full five- or even six-figure tuition cost. Until then, we can rest assured that one old tradition is safe and here to stay – the tradition of increasing tuition rates.